One lesson from eight years of wine writing is recommending types and style of wine instead of specific bottles. Many often think of summer as a time for big Cabernets, Syrah, or Malbec with outdoor grilling. The annual pitch for readers to try dry Rose’ was the previous Grape Sense column. Today the topic is summer white wines by varietal and style. A good, chilled, white wine is great with summer foods and perfect for late evenings on the patio or porch. Let’s start with French whites. One of the greatest values of the wine world is Bordeaux white wines. The traditional white Bordeaux is a mix of Sauvignon Blanc and Sémillon and/or Muscadelle. Sémillon is used in dry and sweet wines in the south of France. It’s seems odd that a region known for the world’s most expensive reds would offer up the most drinkable and affordable whites but that’s just part of the paradox of French Bordeaux. It’s unlikely you’ll find Bordeaux Blanc in most liquor stores. But better wines shops will have a few different labels. Really good Bordeaux Blanc is often found for $10-$18. The wines are refreshing and often described as light and fruity. White Bordeaux pairs really well with salads, seafood-stuffed ravioli, grilled tuna or shrimp, and try it with asparagus or sushi. 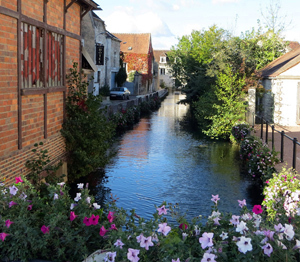 A personal favorite is the Bordeaux Blanc from Entre-Deux-Mers and the Saint Emilion region. They’re light and refreshing, perfect for a hot summer day. Just look for Entre-Deux-Mers on the label. Oregon Pinot Gris is much easier to find in the Midwest than Bordeaux Blanc. Pinot Gris is equally affordable with plenty of choices in most wine shops. The most notable characteristic of Oregon Pinot Gris is a bright and pronounced acidity. That makes the wine a good pairing with seafood. Most bottles offer bold tropical citrus flavor with balance achieved from that pronounced acidity. Most Oregon Pinot Gris wines are in the $14-$20 range. For years Oregon winemakers had a hard time giving the stuff away. But in more recent years many wineries have upped their Pinot Gris production. Chardonnay has also been hot in the Willamette Valley. Most are made in a Burgundian style with little or no oak. 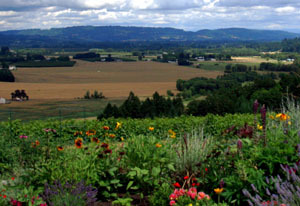 The classic Oregon Pinot Gris or the stylistic Oregon Chardonnay are great summer white wines. Finally, a plug for Indiana. One of the most under-appreciated whites is the hybrid grape Vignoles, originally from France. Vignoles is grown and produced by many Hoosier winemakers. The wine scares some people off because it’s often categorized as a semi-dry or semi-sweet wine. When Vignoles is well made the wine has pronounced fruit with a dry finish. On the palate Vignoles offers up hints of pineapple, melon, peach, and if you concentrate on the mid-palate and finish you might find a hint of banana. Vignoles won the Indy International Wine Competition top wine in 2012 and 2013. 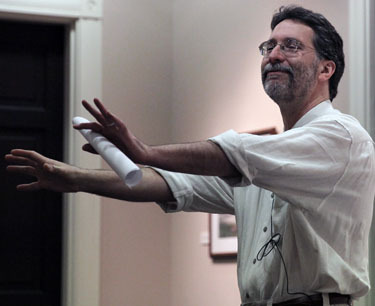 Brian Doyle, noted Portland author, paid a visit to Indiana Feb. 28 and delighted and charmed with his wit, enthusiasm, and joyous attitude. Doyle’s book was published in 2006 and had a real impact on developing my wine passion. I was headed to Oregon for a business trip in 2007 and had planned on visiting the Willamette Valley but had never heard of Doyle, Jesse Lange, or Lange Winery. I had the book finished before going west and made an appointment with Jesse. My visit that day and others I made on the trip took my wine interest from passive to passionate. Here is that chat with Brian Doyle! I wrote in an earlier post that I had done several video interviews while in Oregon last summer. The intent was to create a video feature for the national online magazine, Palate Press. That idea never materialize and it’s way past time to get some of these marvelous interviews up on the blog. 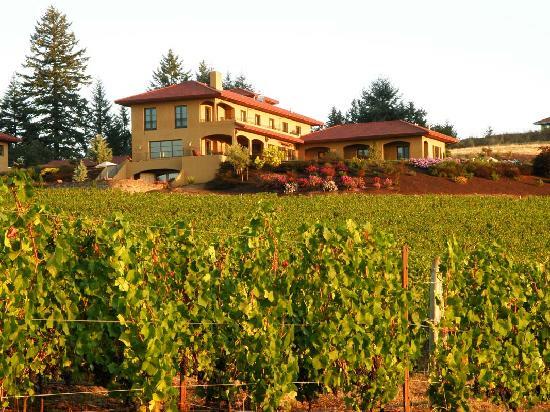 I’ve stopped at Lange Estate Winery during all three of my Willamette Valley trips and even as I explore new Oregon wineries, Lange remains a favorite. On previous trips I had met Jesse Lange who oversees most of the day-to-day operation. I had another appointment set up with him last summer but he had to cancel. I’ve got to know the folks in the tasting room and they responded they were trying to get ‘the Don’ to talk with me upon arrival. ‘The Don’ was Don Lange, Jesse’s father, and the founder of Lange Vineyards. The Lange family came along after Erath, Adelsheim and those Willamette Valley pioneers, but the Lange name remains one of the icons in the Valley and Dundee Hills. 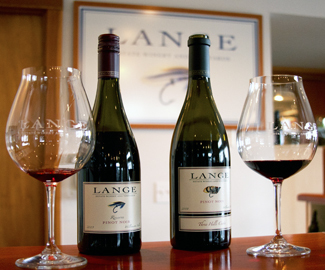 Lange makes some of the best Pinot Noir and Pinot Gris in Oregon. The name is known across the country. It was great fun to finally meet Don and sit down to chat. I’ve left the videos largely unedited to give the view a feel of being there listening to us chat. There is a second video with Don coming in a few days.The audio on this video is a little low. It was boosted as much as possible without causing distortion. Just crank up your audio and it should do okay.